Thank goodness that Netflix has finally come to Canada. Thanks to this service, I have been able to watch many, many movies. (No, I am not paid to advertise this). The offer only just began in Canada, so the selection is not the greatest yet, but it is getting better. The sweetest part is that they have quite possibly the majority of movies that are part of the Criterion catalogue. These are films that only available to watch if you buy these ridiculously expensive Criterion DVDs. These are often prestigious films that the Criterion company has deemed as works of art. 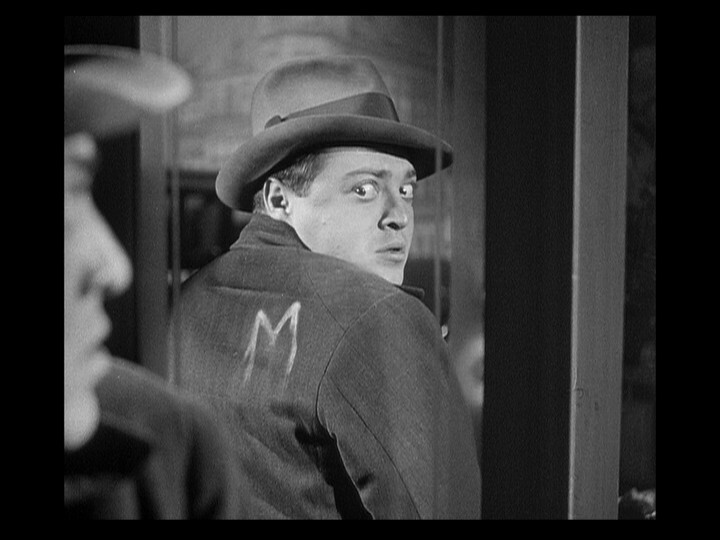 So thanks to Netflix, I have now been able to watch such amazing classic films as The Seven Samurai, The Bicycle Thief, and most recently, the 1931 film, Fritz Lang’s M. A film about a child-napper/killer (played by Peter Lorre) who is wanted by the police but after they fail to catch him, the other criminals of the town take it upon themselves to catch this monster. This film is part of the movement in the early 1930s which introduced the world to “talkies” (a movie with sound that is captured and recorded by the actors on screen in real time). It is also one of the, if not the very first film that focused on a serial killer. A popular movie topic that has since been done to death (pun intended) and is still popular today. But watching this and knowing of the influence this would have on later movies was fascinating. Even right off the bat, the opening scene of some kids playing a schoolyard game where they sing a rhyme about a ‘murderer who’ll come get you if you’re not careful’ draws eerily close comparisons to a similar scene in Nightmare on Elm Street. Peter Lorre’s climatic monologue, the social commentary on mob mentality/legal systems/police incompetence, and the creative uses of camera direction to tell the story through images and movement rather than dialogue; successfully displaying this creativity nearly 10 years prior to Citizen Kane. But the most memorable part for me is the fact the throughout the film, when the Killer is stalking a child, he whistles the delightfully devilish melody from Edvard Grieg’s In the House of the Mountain King. I will now never experience that piece again without thinking of a creepy bug-eyed kid-napper. Summary: This is a classic that doesn’t get mentioned enough. Predecessor for serial movies to come and innovative camera use. Definitely worth a watch if you can get a hold of it. I have it ranked at #276 of the 1393 movies I’ve seen on my flickchart.com account.